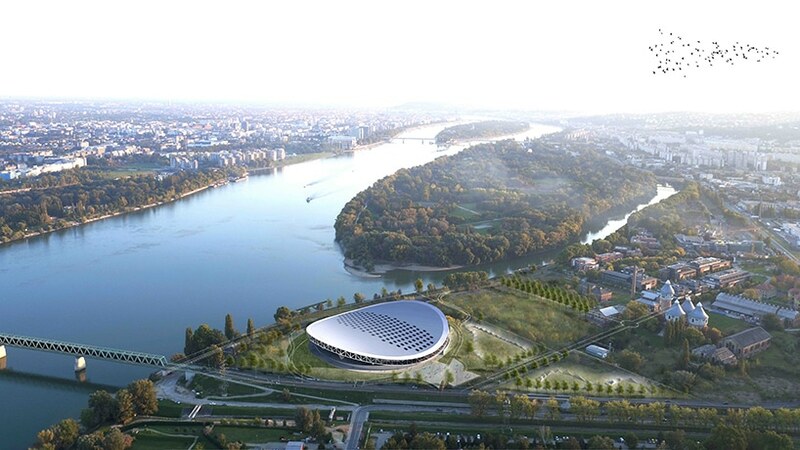 the new budapest velodrome designed by BIVAK adds a new function of metropolitan and international importance to the existing uses of the former óbuda gasworks site, a major brownfield area in the northern suburb of budapest, hungary. 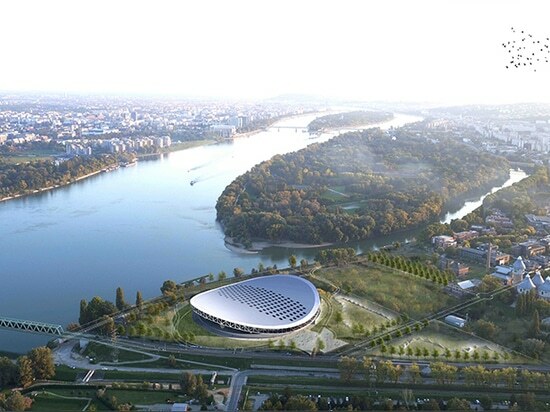 the new budapest velodrome designed by BIVAK adds a new function of metropolitan and international importance to the existing uses of the former óbuda gasworks site, a major brownfield area in the northern suburb of budapest, hungary. 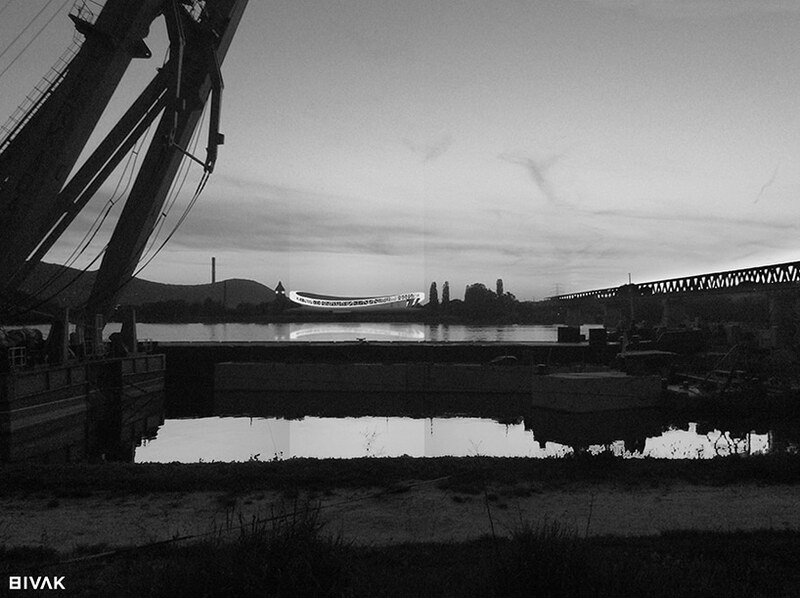 the architectural design of the velodrome builds on the area’s industrial heritage as well as the structure of the nearby railway bridge. 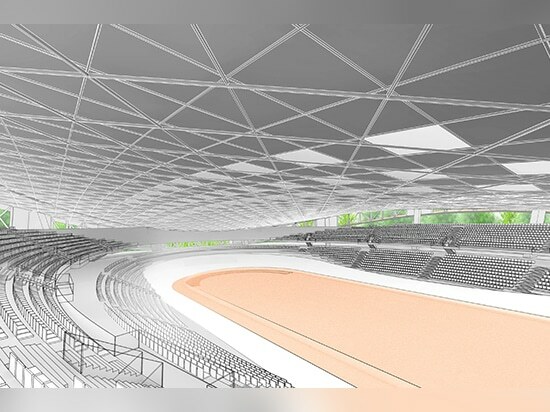 concerning the size of the building, the budapest velodrome will be a massive landmark for the whole neighborhood. approaching it from the river or the nearby rail line or even from above, on board of an airplane approaching the hungarian capital, it will be a signature part of the budapest skyline. BIVAK attributes the form of the structure recalling the frames that support the huge gas containers that once were emblematic buildings on site, but were demolished. the skeletal frame with its half-open half-covered jogging track inside is the dominant element of the façade. the structure provides shelter and functions as a public recreational space. the building also represents the ethos of sports: there is no redundancy, just the powerplay of muscles, as the circular steel structure on top of the pillars handle the forces holding the roof above the velodrome. within and below this pure, rational, industrial structure there is an active community life. among the pillars there is room for community functions related to cycling, like a coffee shop with a terrace, trial track, an adventure park for all ages with climbing wall, gathering point, bike rental and repair shop. 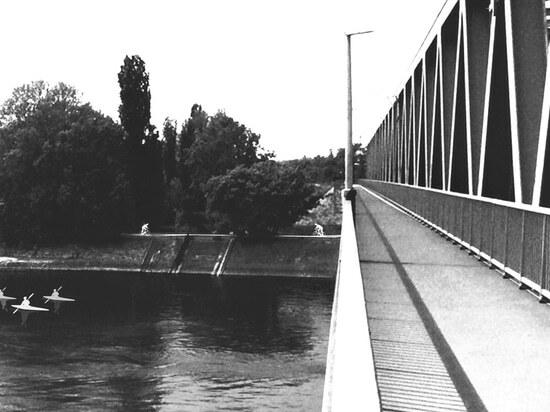 there is a running track and walkway within the elevated, curved, and circular truss structure that holds the roof starting from the level of smaller trees and elevating to above the level of the large trees thus opening a view to the city at its peak.